Day 23 of the Heapnose Perfume Diary. Today my friend John is wearing Polo (Black) by Ralph Lauren. 4. Which fragrance have you elected to test on behalf of http://www.heapnose.com? 5. Why did you elect to review this fragrance on behalf of http://www.heapnose.com? 6. Have you ever worn a male fragrance before? 8. How did you hear about http://www.heapnose.com? 10. Do you feel more attractive when you smell nice? 12. If [yes] above, who? 13. Shall I send the boys round? 14. If you hadn’t received this fragrance for nothing from a nice PR lady named Raj, would you buy it? 15. Why / Why Not? 16. Do you think the guy in the Ralph Lauren Polo (Black) ad campaign looks a bit like Beardy if you squint and imagine him with a beard, and glasses, and earrings, and a more cheerful demeanour, and humming a tune by the Grateful Dead and eating a vegetarian Burrito? A: It’s almost uncanny. Isn’t your boyfriend white though? 17. Do you like Beardy? 18. Why / Why Not? 19. What should a man smell of? A: I dunno Heap, you’re the expert. 20. What does happiness smell like? 21. 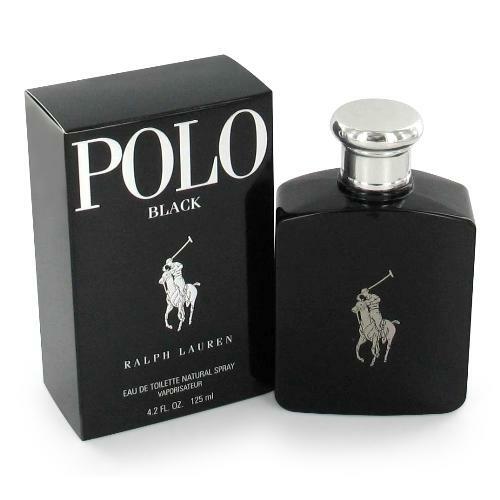 Do you think that Ralph Lauren Polo (Black) is fragrance for all seasons? 22. I find you very attractive right now. A: You have bad hair. 23. Would you feel comfortable wearing this fragrance to a wedding or other formal occassion? 24. Would you recommend this perfume to other men, say in the pub or playing golf? 25. Isn’t that a bit gay? 26. Are you a homosexual? A: See 25 above. You outed me to a church congregation [accidentally…Heapnose] and you outed me in the pub [again, accidentally..Heapnose] so, in the name of forging new frontiers and all that, why not out me on the internet? 27. Will you continue to wear this fragrance after finishing this questionnaire? A: Happy Face. I really like it. 29. Am I prettier than Cheryl Cole? 30. What about if I had her hairdresser? 31. Did you enjoy the Heapnose Questionnaire of Greatness and Also Despair. A: I’m staggered. Are you honestly putting this tosh on Heapnose? I can confirm that I am indeed white. Although sometimes red. Generally at social engagements, and more specifically, social engagements where fragrance reviewers are in attendance….who have blogs, and worry about their hair. Love to you both. And Colin. And the Grateful Dead, and definitely Burritos. I concur with Steve, blindingly good.